You want a gorgeously drawn, action packed, golden age super hero comic book, that centers on the adventures of an occasionally costume-clad heroine that's written and drawn by a woman and that, while it doesn't shy away from presenting its readers with a gaggle of curvaceous gals, is clearly the product of feminist thinking? What's that? You thought no such thing exists? Well, that's where you'd be wrong, as Miss Fury by Tarpe Mills fits the bill in spades. While the three issues that are collected here were originally cobbled together out of newspaper strips and as a result are occasionally subject to reiterations, the story races ahead at breakneck speed and there really is never a dull moment. In fact, there is so much going on in the issues reprinted here, that occasionally you'll find yourself thinking, "Hold on a second here, what's going on?" 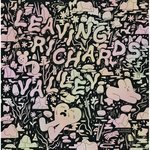 (and one page in the third issue is printed out of order [it may very well have been out of order in the original]) but, you'll find that if you flip back through the last few pages, you'll figure it out, because everything is there. Comes complete with an informative introduction by the noted feminist comics historian, Trina Robbins (who, we hasten to add, is also a fine cartoonist in her own right), that will help get you up to speed. 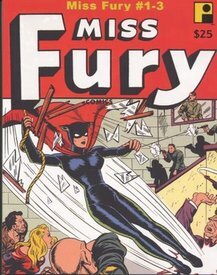 As these comics were created during WWII, Miss Fury is not only compelled to deal with thugs, burglars and blackmailers -- as well as a femme fatale, a petulant boyfriend and an amoral seductress bent on getting him -- but also Nazi spys and soldiers: the major villian is a Nazi general, who, while clearly evil, is nevertheless surprisingly presented as courageous and heroic -- a far cry from the typical comic book caricatures of vicious bunglers, and a highly unusual example of ambivalence in the face of the enemy. Perhaps most fascinating is that during the Nazi invasion of Brazil (we told you this story was action packed) a fiery Latina forges an alliance with rugged gauchos and rainforest indians to repel the Nazi attack (assisted by Miss Fury, naturally) -- shades of today's leftist alliances to save the rainforest from rapacious multinational conglomerates. This book is a revelation! Thanks once again go to Greg Theakston's Pure Imagination publishing for bringing yet another comics classic to light.